Next Gen (film, 2018). 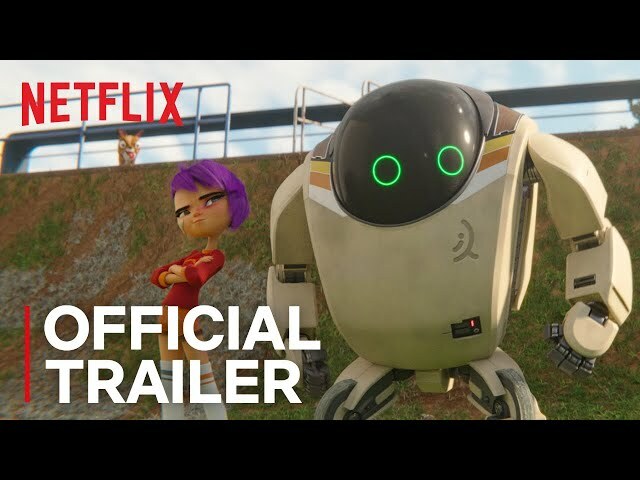 A 2018 Canadian-American-Chinese computer-animated science fiction action comedy-drama film by Netflix (Worldwide except China)/Alibaba Pictures (China)/Wanda Group (China). Directed by Kevin R. Adams, Joe Ksander. Official Trailer. Next Gen is a 2018 Canadian-American-Chinese computer-animated science fiction action comedy-drama film directed by Kevin R. Adams and Joe Ksander. 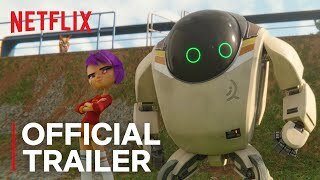 Next Gen | Official Trailer | Netflix. In the futuristic city of Grainland where robots are ubiquitous, a young girl named Mai lives with her mother, Molly. Ever since her father left the family, Molly has filled the void with robots, causing Mai to become lonely and hateful of robots. Now as a teenager, she and Molly attend a product launch at the IQ Robotics headquarters. Mai, upset at Molly's ignorance, wanders off and stumbles upon a secret lab belonging to Dr. Tanner Rice, who's been working on an attack robot called 7723. Mai accidentally activates 7723, before being apprehended by security and returned to her mother. At the launch, Justin Pin, CEO of IQ Robotics, unveils the next generation of Q-Bots to the public with the promise to put "one in every home". Accompanied by his robot bodyguard, Ares, Pin meets with Rice at the assembly line, who expresses safety concerns about the Q-Bots, but Pin insists they are ready. Meanwhile, 7723 leaves the lab to find Mai, but causes a high-speed pursuit on an elevated freeway. The situation escalates as he uses his weapon systems, causing the police force to use deadly force in return, making him fall into the lowest levels of the city. When he awakens later, he finds his memory core was damaged in the fall, preventing him from keeping memories in the long term. The next day at school, Mai befriends a girl named Ani, and they are attacked by an athletic group of bullies led by Greenwood. Mai retaliates by kicking a football into Greenwood's head, and she and her bullies use their Q-Bots to attack her. She comes home with a black eye much to Molly's shock, but the two's strained relationship prevents any meaningful discussion, and so Mai runs into her room. Later that night when Mai goes outside to check on her dog, Momo, she finds 7723 in her backyard. She initially tries to dismiss him, but impressed by his weapons system, she allows him stay in the garage. 7723 reviews his memory bank and decides which memories to delete to make room for more. The film Next Gen was scheduled to be released by Netflix (Worldwide except China), Alibaba Pictures (China) and Wanda Group (China) on September 7, 2018 (United States). The duration of the film is 105 minutes. The film's budget is $30 million. Next Gen got high rating from critics. The audience also likes the film.